We're a small church in a growing community. We want to provide a helpful, caring place for friends, old and new, to come together for worship and fellowship. All Faith Church History: When the Parish of All Faith in St. Mary's County was created in 1692, the Parish Church at Huntersville was already built and named "All Faith." According to competent authority, the name "All Faith" was originally "Allfaiths" because in Resurrection Hundred it was the only building set aside for religious worship and all religious faiths used it. All Faith Parish is fortunate in that most of its ancient records have been preserved. The first entry in these old records has to do with the establishment of the Parish by the Colonial Legislature of Maryland, being number twelve of the Establishment. Like many old Churches, the original structure was built of logs. It was located on the site of the present building and was erected around 1655. This building was rebuilt in 1693 and finally replaced by the present colonial (Flemish bond) brick structure in 1767. The Rose windows above the altar symbolizes the gifts of God and His bountiful creation. Letting the light of All Saints so shine that all who come in contact with us will see the glory of God reflected in our work and worship, and so be drawn into the community of worship which is Christ's body. This church ranks as one of the finest examples of Georgian ecclesiastical architecture in Southern Maryland. An historic colonial church dating from 1692. We are a vibrant Christian community seeking to learn and live out God's will through worship, helping those less fortunate, and fellowship. 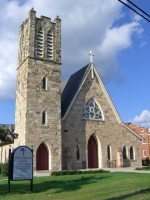 Proud of its place in the history of both Southern Maryland and the Episcopal Church, Christ Church, Durham Parish is a forward-looking congregation of the Episcopal Church, in the Diocese of Washington. Christ Church is on Rt. 425, 1.3 Miles south of Rt. 6 in Western Charles County. Christ Church, Port Tobacco Parish was established in 1692 as part of the Anglican Church in the Colony of Maryland. Anglicans first had begun meeting in the village of Port Tobacco in 1683. Now part of the American Episcopal Church, our denomination observes both Catholic and Protestant aspects of Christianity. Christ Church belongs to the worldwide Anglican Communion. The Anglican Communion and Christ Church are catholic because we maintain the historic faith, worship and order that stem from Jesus' apostles. We are evangelical because we call people to faith in Jesus Christ as the Bible proclaims him. We also believe that God calls us to keep our minds open to new ideas and our hearts open to the needs of others. We have more photos of the church available in the Multimedia Gallery. Earliest Anglican church. Christ Church, Wayside - was in existence in 1690 when it was known as Piccawaxen. The Parish was re-named William and Mary Parish under the Establishment Act of 1692. Sunday services at 8:00 and 11:00 AM (10:00 AM during summer). One of the original parishes of the province of Maryland, Christ Church began as a log church standing as early as 1672. The present brick church dates from 1772 and has continued as a place of worship to this day. 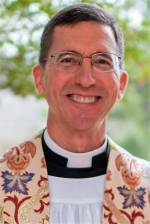 Christ Church, King and Queen Parish, in the Episcopal Diocese of Washington, has served the ministry of Christ's work in the world for more than 300 years. King and Queen Parish is one of two original colonial parishes in the area now known as St. Mary's County. The original boundaries of the parish were reduced in size as newer parishes were established. Founded by colonists both fearless and reverent, who established roots that grew deep into the traditions of this land, our church community believes that we are called to be people of prayer, dedicated to proclaiming a lively faith in God, and service to others in the name of Christ. We strive to live by the message and lessons of Christ, in which there are no outcasts and all are welcome. Our congregation is home to a diverse cross-section of people of varying backgrounds, ages, incomes, and degrees of spiritual enlightenment. The Episcopal Church does not discriminate for reasons of race, gender, sexual orientation, family status, country of origin, or comfort level with organized religion. We are sacramental, worship-oriented, and encourage thoughtful, well-informed discernment about what God is calling us to do and be as followers of Christ. In short, we aspire to the kind of contagious Christianity that can influence and encourage the entire community, one life at a time. Serving the Navy and community for 50 years. All are welcome.